Several weeks ago Kiwi and I were lucky enough to be invited last minute to join some friends to visit Zion national park. We had a back country permit – which takes a few months to apply for, meaning we could do the subway route. 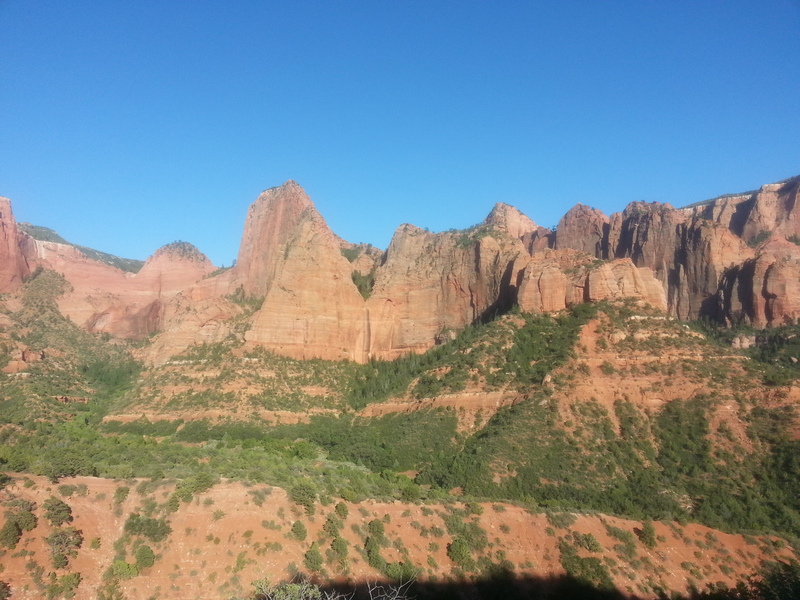 We didn’t know much about it, but were keen to visit Zion and spent some time walking. Driving down we enjoyed listening to all our old cd’s – road trip!! And watching the scenery, change from mountains, to more rural landscape, to more mountains. The rocks getting redder as we drove further south. We arrived at Zion and had a drive aorund a small loop showing us some of the canyons and ridges that we would be walking in the next day. 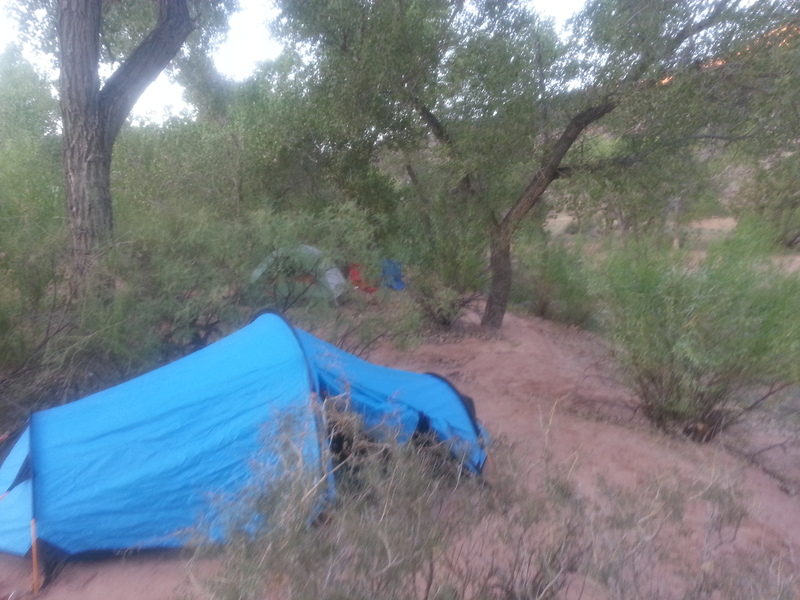 We set up for the night next to a small dried river bed on the dusty sand. Camping for a night is always fun, I can last about that long before I miss my shower and bed! After a big dinner where we discovered ‘English fries’ total lies, these were like refried potato bites or tator totes, that tasted horrible, and were definitely not ‘English’! I think I confused the waitress when I asked, by then my accent often does that. We settled for the night and the night sky was spectacular. With a clear sky and little light pollution we were able to see the milky way and several large shooting stars. Bright and early the next morning we headed further into the canyon and set off for the day. The subway route can be accessed either from the top which involved abseiling through the canyon, swimming through some very cold water and walking down the canyon – this sounded great fun be we didn’t really have the right equipment, so we went top up. This involved walking along the river for most of the route. Normally I HATE having wet feet, especially when walking, but as it was so hot and sunny, walking in cool water was refreshing. 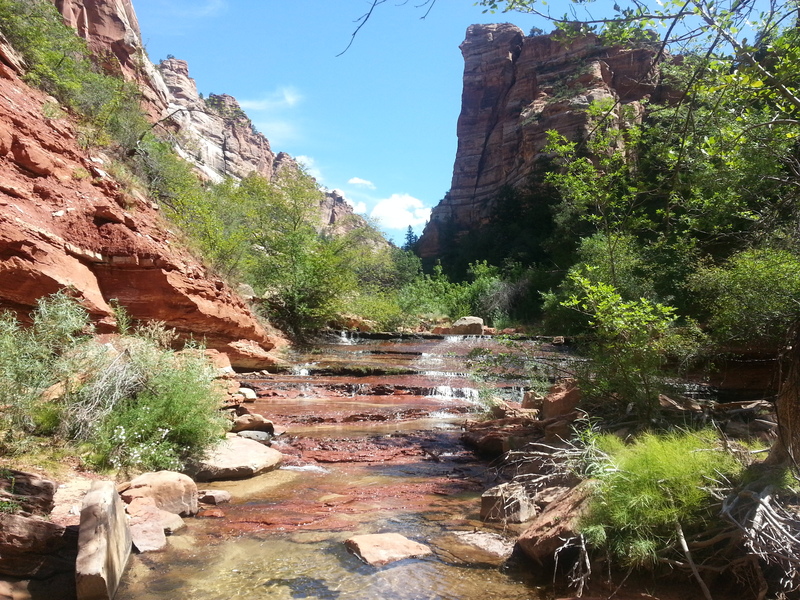 The landscape was beautiful, we were surrounded either side as we walked further into the canyon. At the end of the trail the canyon narrows and looks a bit like a subway, inside is a waterfall and pools of cool ice melt. We were so hot we jumped in screamed several times and then dried within half hour of walking again, we later found out that it was just over 40 degrees in the sun. 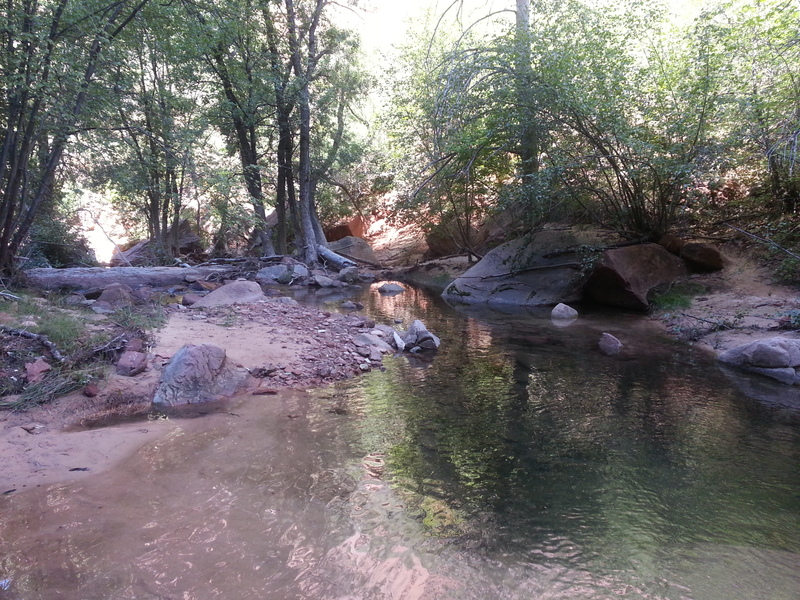 We slowly walked back out spotting trout in the river and admiring the scenery.